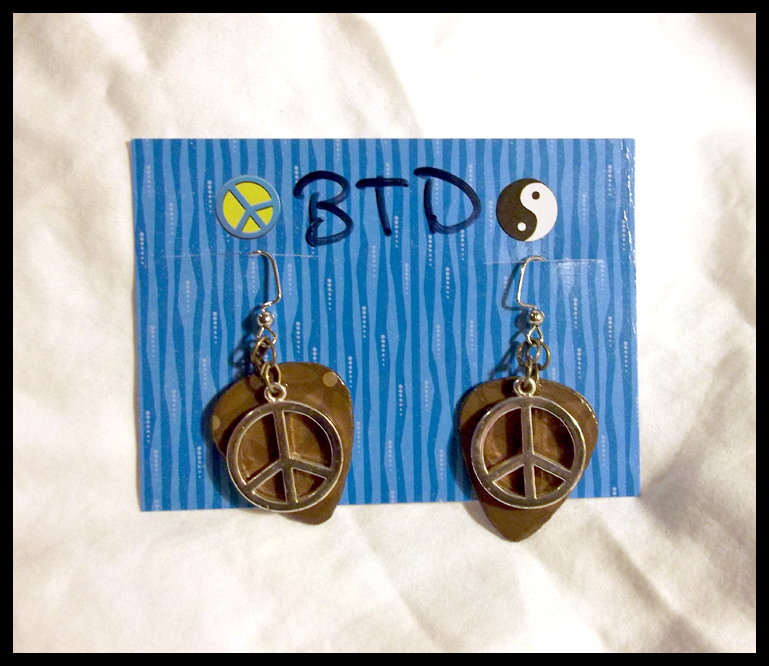 Flowers and Pace Sign Guitar Pick Earrings! Retro floral pattern guitar pick pendants with silver colored peace sign charms. Backside features stistched pattern, earrings fish hook style backs.